Motorists in parts of Ostrobothnia in the west and Karelia in the east will have to contend with snow flurries and high winds on Saturday. Motorists venturing onto the roads in parts of Finland are being advised to expect winds gusting at speeds of up to 20 meters per second. "Wind warnings have been issued across a narrow zone from southern Ostrobothnia to southern Karelia but winds are high and gusts may also reach storm readings on the south coast and in coastal regions in Ostrobothnia," said Yle meteorologist Kerttu Kotakorpi. During Saturday night the stormy weather system is expected to move across the country towards the southeast. Meanwhile maritime traffic between Finland and Estonia may be affected by powerful crosswinds. By Saturday afternoon gusts were expected to reach 25 metres per second in Emäsalo, off the coast of Porvoo in the south. According to Kotakorpi, the winds are expected to subside by Sunday morning. Snow flurries were also forecasted to move east across southern and central Finland on Saturday. Heavy snowfall was expected to create poor driving conditions, with roads worst affected in the east. In addition to the gusty winds, motorists are advised to brace for swirling, powdery snowfall that will likely impair visibility. "On Saturday afternoon 17 centimetres of snow had already fallen in Puolanko, Kainuu for example. 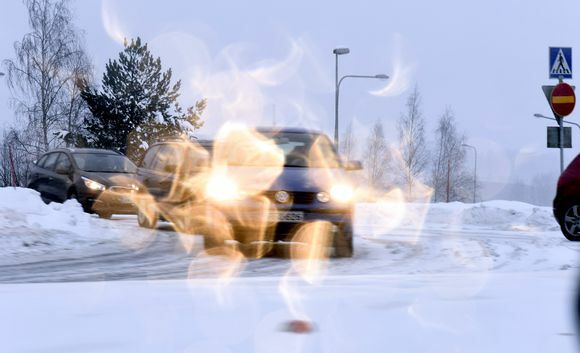 During the evening the snowfall may also extend to the south coast," Kotakorpi noted. Meanwhile overnight temperatures on Saturday are expected to fall to -10 degrees Celsius in the south and further to -30 degrees in Lapland as the snow front migrates to the east. Although Sunday will be sunny and warmer, daytime highs will still remain below freezing. According to Kotakorpi the week will usher in variable conditions. "Temperatures down south will be just below zero degrees and colder in Lapland. Children beginning their ski holidays in northern and eastern Finland can look forward to sunny days with lots of snow," Kotakorpi added.